With all the excitement generated by the 50-states quarter program in recent years, it seems only right to examine one of this country's longest running coin series. Originally conceived as a one-year-only circulating commemorative for the bicentennial of George Washington's birth in 1932, this type was retained when the production of quarter dollars resumed two years later. John Flanagan's pair of models was not the first choice of the judging committee nor that of the Federal Commission of Fine Arts, but the ultimate selection rested with Treasury Secretary Andrew W. Mellon. His approval of Flanagan's designs was not successfully challenged. Since only a few dates and varieties carry any significant premium in circulated grades, I'll provide just a brief commentary on their grading. 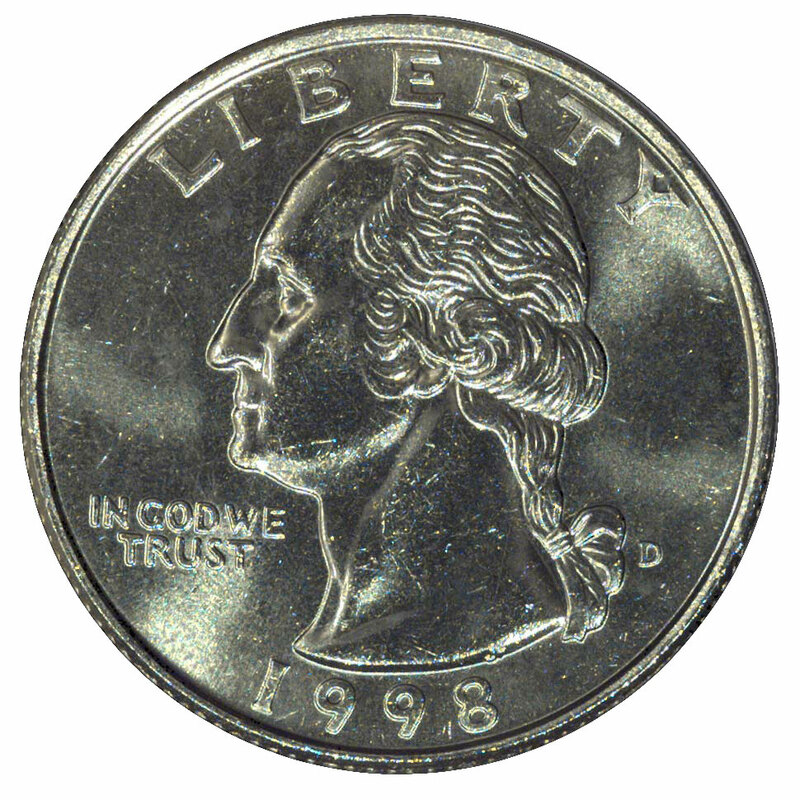 The first signs of wear on this coin's obverse appear on Washington's cheek and the hair around his ear. The reverse wears first on the eagle's breast and the upper portion of its legs. Look for dullness in these areas to detect wear. Also evident will be a slight difference in color on the worn points as the coin is turned under a light. These same highpoints in the coin's design are critical when grading uncirculated pieces. Abrasions, contact marks and hairline scratches are quite prevalent in these areas. Such flaws can easily be missed when located within the busy parts of the design, such as the wreath or lettering, but any detracting element on Washington's face will be particularly crucial in determining the grade of a mint state coin. The broad, open field of the obverse is another area where marks and abrasions can have quite an impact on grading. Toning will sometimes hide these blemishes in normal room lighting, but they will be revealed by the more intense light provided by the lamps professional graders use. The use of a 75-100 watt incandescent lamp, at a distance of 12-18 inches in an otherwise dimmed room, will closely replicate these conditions. In such a long series there is no one rule regarding availability in gem condition. Generally speaking, however, the issues before the late 1950s are fairly abundant across all grades through Mint State-65. Of course, the key dates are scarcer in proportion to their overall survival in mint state. 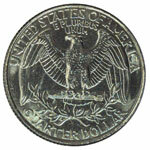 Among the issues difficult to locate at the gem level are 1932-D, 1935-D and 1936-D. The San Francisco Mint quarters from about 1944 through 1954, while common in gem condition, were usually coined from severely worn dies having mushy details. The silver issues from about 1959 through 1964 are extremely common uncirculated, yet several of these are quite difficult to find in gem condition. Typically, the Philadelphia Mint coins from this period are more available in high grades than the Denver Mint pieces, the latter often being quite heavily marked. The copper-nickel clad coins minted since 1965 are a story in themselves. Through 1973 they typically feature incomplete strikes, since the hubs used to create working dies were in too high a relief to compensate for the much harder alloy. 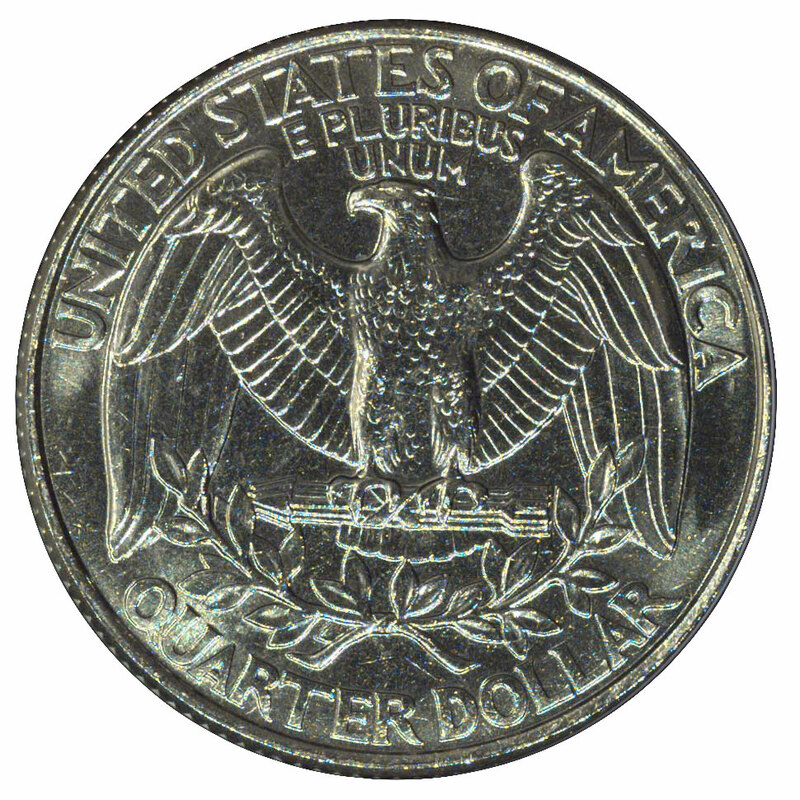 Beginning in 1974 the U. S. Mint began a series of hub revisions that both sharpened the design elements and lowered their overall relief. This program really gained momentum during the 1990s, when the Mint sacrificed all pretense of sculptural art in favor of very low relief coins that were almost guaranteed to have full strikes every time. Beginning with the clad era the quality of production at the Denver Mint surpassed that of the Philadelphia Mint, and gem examples of the former's coins are always more available than those from the eastern facility. This is particularly evident with issues from the early 1980s, when quality control at the Philadelphia Mint reached its nadir. Poor strikes and indifferent luster are the rules for such coins. Overall the early clad coins are scarcer in high grades than the silver pieces that preceded them. The hobby is only now beginning to understand this fact, though most collectors still favor the older coins. Only since about 1987, when the U. S. Mint began to place better quality coins within its Uncirculated Sets sold to collectors, have clad quarters become available in relatively high grades.